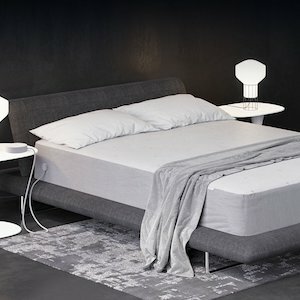 Looking for the best bed-in-a-box options? Here we have listed the top mattresses that can be bought online and delivered straight to your home. 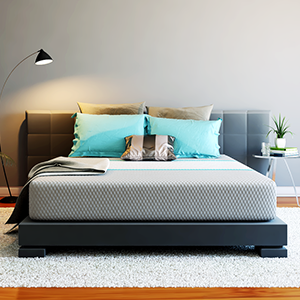 Keep in mind that larger sizes of mattresses can still be quite heavy to move – you’ll likely still need help maneuvering big boxes up stairs or getting mattresses into position. 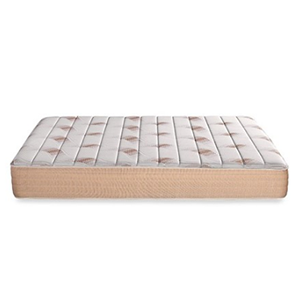 *Prices listed are for Queen size mattresses. “Sleep is such a key component of your health, we decided to focus our mission on the most important 8 hours of your day. We strive to make high quality products to support that practice.” From $ 995, click here to learn more. 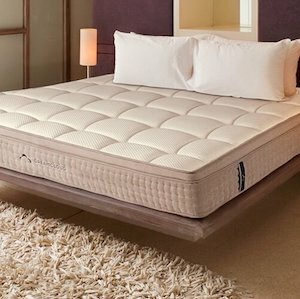 “Our attractive hybrid mattress is scientifically engineered to fulfill every requirement to experience perfect sleep. All the while, meeting the high standards associated with the Therapeutic name.” From $1,099, click here to learn more. “Our mission at Amore Beds is to provide a peaceful, relaxing experience every time your head touches the pillow. 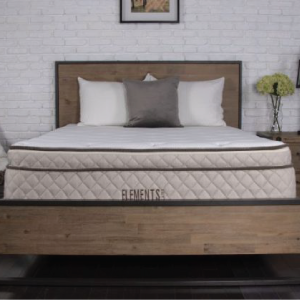 We use only premium American materials and custom build our luxurious top rated mattresses in our Chicago factory.” From $675, click here to learn more. 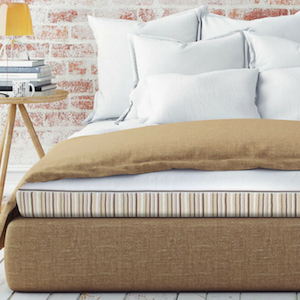 “At Brooklyn Bedding we take bedtime personally, crafting every bed on demand just for you. 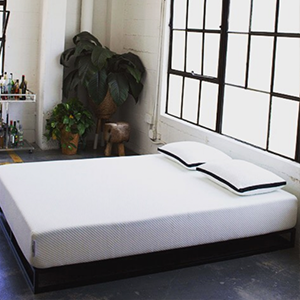 By thoughtfully researching, engineering and customizing every mattress at our very own factory in Phoenix, Arizona, we create your best sleep experience ever.” Starting at $649, click here to learn more. 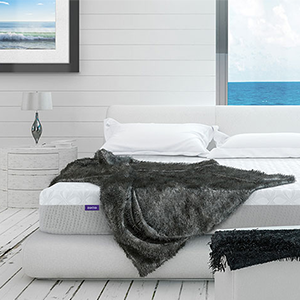 “Our two luxury innerspring hybrid models provide the comfort and support equal to the most expensive traditional spring mattresses in the market but at a much lower price. 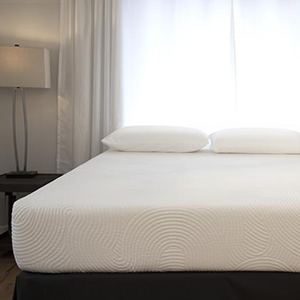 For customers who prefer an all-foam mattress, we offer two models for an ideal fit.” Starting at $575, click here to learn more. 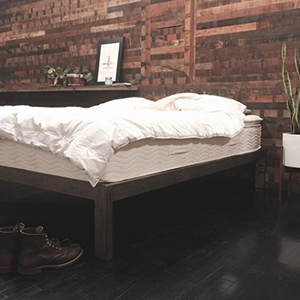 “Available coast-to-coast-to-coast, the Douglas mattress has been designed, refined, and defined by Canada. Douglas uses Canadian-sourced materials, Canadian-sourced renewable energy, and is crafted entirely by Canadians in Canadian factories.” Starting at $649, click here to learn more. 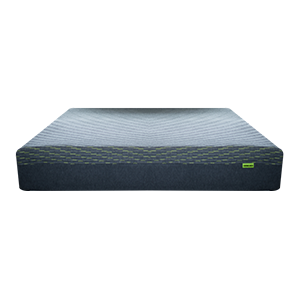 materials, quality craftsmanship, and an Everlong Warranty to bring you the best sleep of your life, guaranteed.” Starting at $1,199, click here to learn more. “A unique Eurotop zipper enclosure lets you decide the support you need. 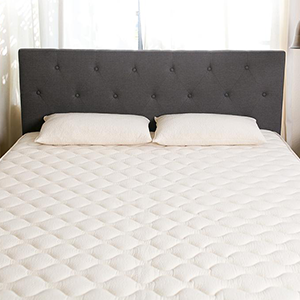 The bed’s gentle conforming properties are made ultra-plush by a quilted top with super soft reflex foam, and a convoluted foam base for a cooler, more comfortable night’s sleep.” Starting at $899, click here to learn more. 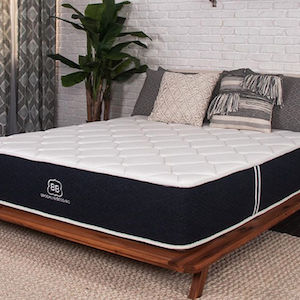 “The supreme luxury and pure comfort of natural latex combined with the buoyant support of premium encased coils, delivered right to your door.” Starting at $899, click here to learn more. 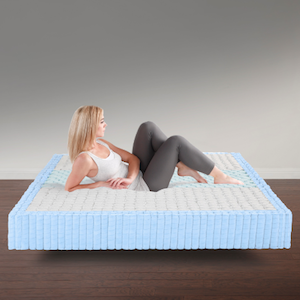 “Ecosa is the only ergonomic mattress that has firmness adjustability and waterproof protection. Most mattresses are ridiculously overpriced. Ecosa helps you save, without sacrificing on quality.” Starting at $999, click here for more information. 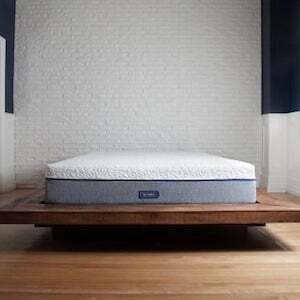 “Eight created the world’s first smart mattress designed to track and improve your sleep. Its proprietary technology tracks over 15 aspects of your sleep, including heart rate, breathing rate, deep/light/REM sleep, tosses and turns, bed temperature, room temperature, and more.” Starting at $899, click here to learn more. “Looking for a smarter, healthier approach to sleep? 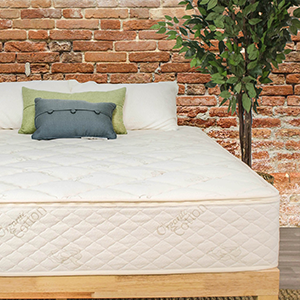 Essentia mattresses are made from rubber tree sap and known for their outrageous comfort and support.” From $2,771, click here to learn more. “Happsy products not only deliver premium quality and comfort, they are handcrafted in the U.S.A. using domestically-sourced materials as much as possible. We focus on certified-organic, non-GMO materials for minimal environmental impact.” Starting at $1,399, click here to learn more. “We all sleep differently. We all come in different shapes and sizes. At Helix, we celebrate those differences to keep you comfortable. Don’t settle for average.” From $995, click here to learn more. “Our Mission is Simple… Why do we only offer one Mattress? 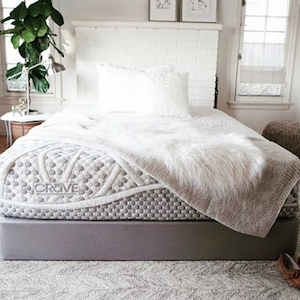 It’s simple…we’ve selected every aspect of our component products to make sure this mattress lives up to our dreams… as well as yours! We have left no stone unturned so you can enjoy a great night sleep.” Starting at $1,250, click here to learn more. “Hyphen re-envisioned the role sleep plays in our lives in order to create a simple, innovative, universally comfortable mattress. No middle-men, no gimmicks, just amazing sleep so you can live life at full speed. Say goodbye to dirty floor samples, confusing jargon and high-pressure sales tactics. Say hello to Hyphen.” Starting at $950, click here to learn more. 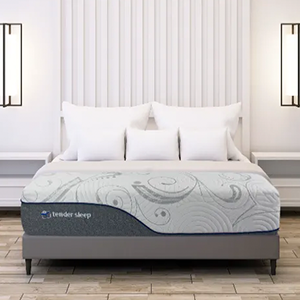 “Our goal at iSense Sleep is to improve your quality of sleep, so we made comfort yours to control by providing adjustability in our products.” Starting at $2,799.97, click here for details. 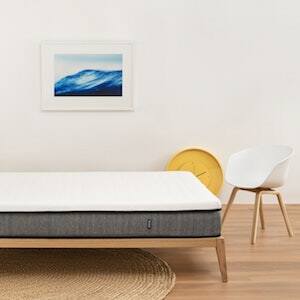 “We are on a mission to be your go-to source for today’s memory foam mattress in a box as we have set out to inspire a community that share a passion to get the perfect sleep.” Starting at $825, click here for details. “The quality of your sleep shapes every choice we make. That’s why we create Keetsa products with high quality materials that we subject to rigorous independent testing—and our own relentless scrutiny. When it comes to sleep, there’s no detail too small for our examination or reinvention.” From $730, click here for details. 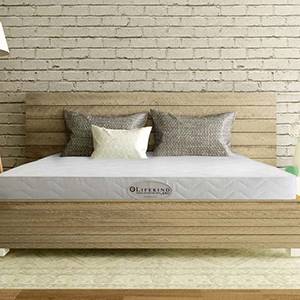 “Latex for Less has cut out the middlemen, partnering directly with farmers to provide you with a single-source natural latex mattress at the most affordable price possible.” Starting at $1,449, click here for details. “The Layla Mattress is the only copper infused mattress you can flip for firmness. We call it Flippable Firmness. 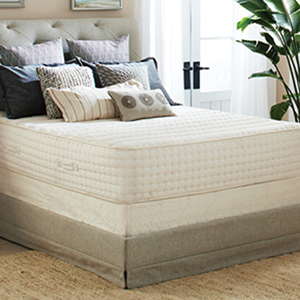 With two firmness levels in one mattress, you have two chances to find the right fit.” Starting at $899, click here for details. “Lifekind®: It Simply Means to be “Kind to All Life.” Our purpose is to offer environmentally responsible certified organic mattresses, bedding, and household products that contribute to a healthier and more sustainable planet, using organic materials sourced from American farmers who utilize responsible agricultural methods.” Starting at $3,299, click here to learn more. 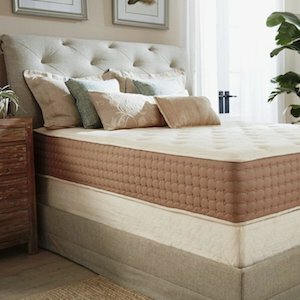 “Our mission is to help you achieve your dream with a quality mattress for your home. We challenged our team to help build this company by focusing on DREAMS, QUALITY, LIVE and SLEEP.” Starting at $549, click here for more details. 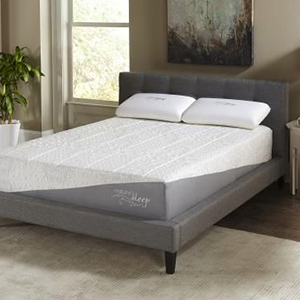 “These legit luxury beds feature a three-inch thick, interchangeable Talalay Latex Comfort Layer atop a progressively supportive base mattress. Why do you care? If it doesn’t feel totally great during the first year, simply exchange the comfort layer for a plusher or firmer version for FREE.” Starting at $995, click here for details. 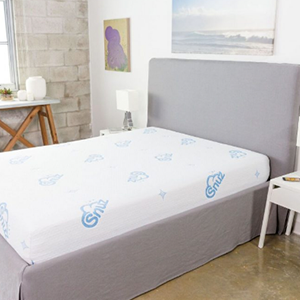 “No other bed-in-a-box mattress available online today is built to accommodate your changing needs by empowering you to select your own personalized comfort level. Like your life and your body, our products are dynamic. Your sleep doesn’t get better by chance it gets better by change.” Starting at $799, click here to learn more. 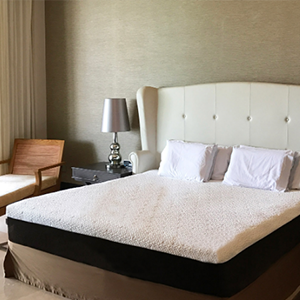 “Metta Bed is a supremely comfortable, all-latex mattress that delivers on the promise of a great night’s sleep, naturally. Handmade to order then conveniently delivered to your door in a single box, setup is a cinch and comfort and quality are guaranteed.” Starting at $1299, click here for details. 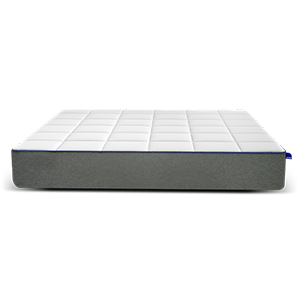 “Each component of the Molecule mattress has been engineered to work synergistically to maximize support, comfort and heat dissipation for the best recovery-focused sleep.” From $1,499, click here to learn more. 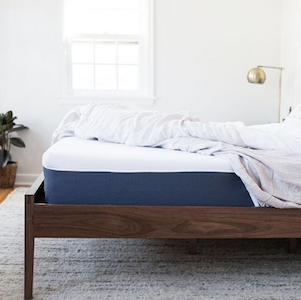 “While other online mattress stores sell a universal mattress, we invite you to celebrate sleep by choosing the firmness option that’s best for your body type, sleeping position and temperature preference.” Starting at $950, click here for details. 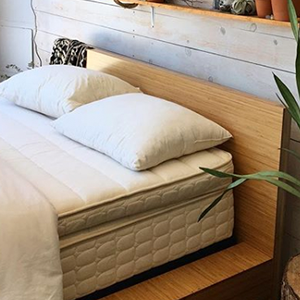 “Nature’s Sleep Mission is to provide everybody the opportunity to enjoy a better night’s sleep at affordable prices, while maintaining a concern for our environment.” Starting at $1,300, click here for more details. “It’s Like Sleeping On A Cloud. We’ve taken the recent advances in mattress and fabric technology and run with them. 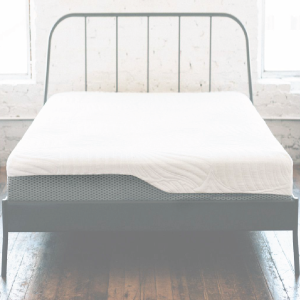 Having figured out the optimal levels of firmness, coolness, breathability, and comfort – we put them all into one mattress, making it the best mattress you’ve ever slept on. Period.” Starting at $824, click here for details. 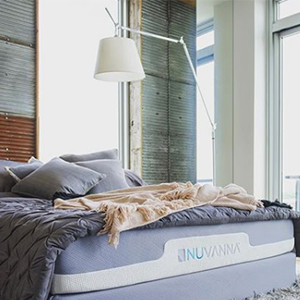 “Nuvanna is a feeling of balance, that natural flow of mind and body that makes a difference in the way you experience your world. When you prioritize the things that are genuinely worthwhile to you, the reward at the end of each day is a perfect, restorative night’s rest. “ Starting at $890, click here to learn more. “You’re gonna sleep better than you ever have before because copper’s cleaner, cooler and has superior support.” Starting at $945, click here to learn more. 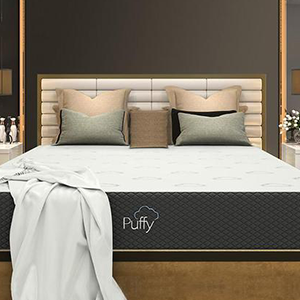 “Experience the comfort of Puffy. 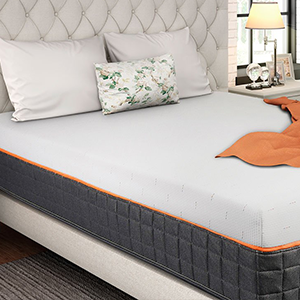 Our body adapting formula will perfectly cradle your body, making Puffy Mattress the perfect choice when it comes to ensuring a good night’s sleep!” Starting at $1,150.00. 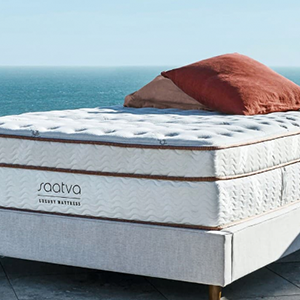 “At Saatva, we’re committed to delivering the most comfortable, durable, and affordable luxury mattress without the drama or expense associated with mattress retailers.” Starting at $999, click here to learn more. “Our goal at SleepChoices is to improve your life through sleep science. 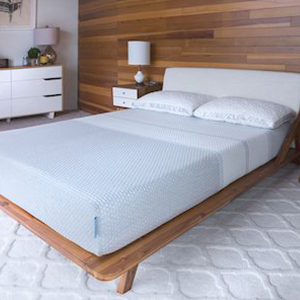 Based on market research and bio-medical engineering, SleepChoices has created the Snuz Mattress, the most technically advanced mattress for the essential support and comfort your body needs each and every night.” From $850, click here for more details. 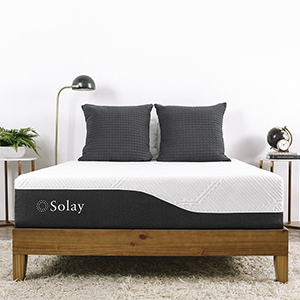 The Solay mattress foam and spring layers work together to relieve pressure points to help you fall asleep faster and enter your deepest sleep. From $895, click here to learn more. “Through the years we’ve learned how to strike the perfect balance of comfort and support. 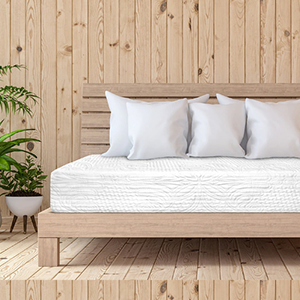 Whether by the natural contouring of our Talalay latex or by the breathable and soft feel of our wool, our mattresses are built to perfection thanks to highest quality green and non-toxic materials used in them.” Starting at $1,399, click here for more details. “Latex is the best-kept secret in sleep, and once you have experienced it, nothing else will do. 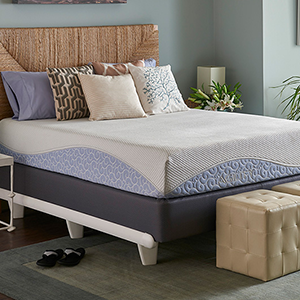 When you get Gel Memory Foam together, it instantly responds to every curve of your body for pressure-free support and incomparable comfort on both traditional and adjustable bases. 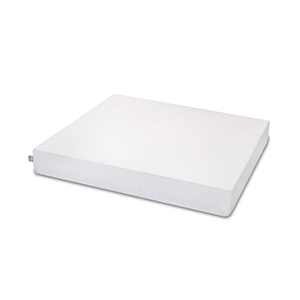 THE TENDER SLEEP mattress resists mold and microbes. Its durability is outstanding.” From $989, click here for more details. “Everybody wants a great night’s sleep, and we make it easy with real beds for busy people. 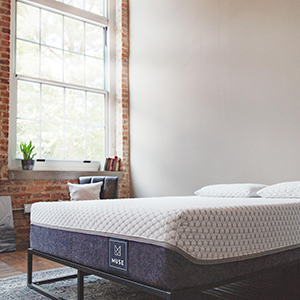 Voila offers high-end mattresses at affordable prices—and high-end mattresses start with the best possible materials, like gel-infused memory foam, talalay latex, triple-edge support, and 768-count five-zone pocket coils. Sound too good to be true? 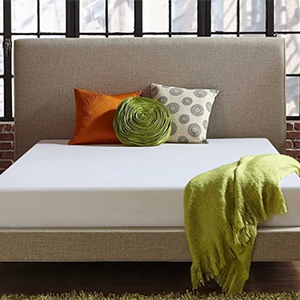 Try a Voila mattress for yourself.” From $1,199, click here for more details. “Sleeping soundly is the key to leading a full, active life. So, why not sleep like the dead and wake like the living? 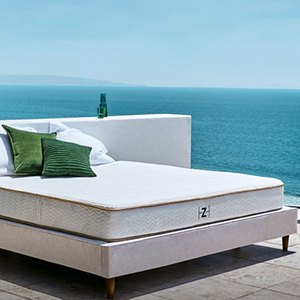 Our Hybrid spring-foam ZombieBeds are carefully assembled for your comfort and we’ve spent decades researching the perfect ingredients for a perfect sleep.” From $799, click here to learn more. 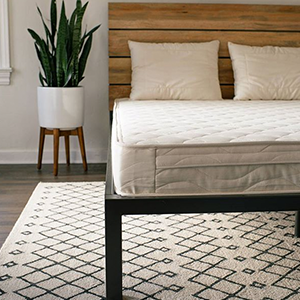 “Our experience comes from inside the mattress industry. 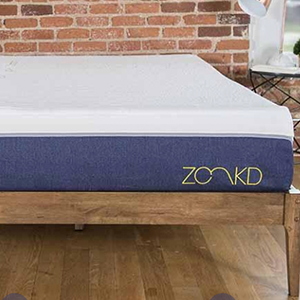 We felt there was a need for a quality bedding that gave people options and thus Zonkd was born!” From $899, click here to learn more. “Zotto realized that a single or dual foam design couldn’t possibly offer the same comfort and support for an NFL lineman as it does for a petite ballerina. We saw the need for something new, and that’s exactly what we designed.” From $1,099, click here for details.